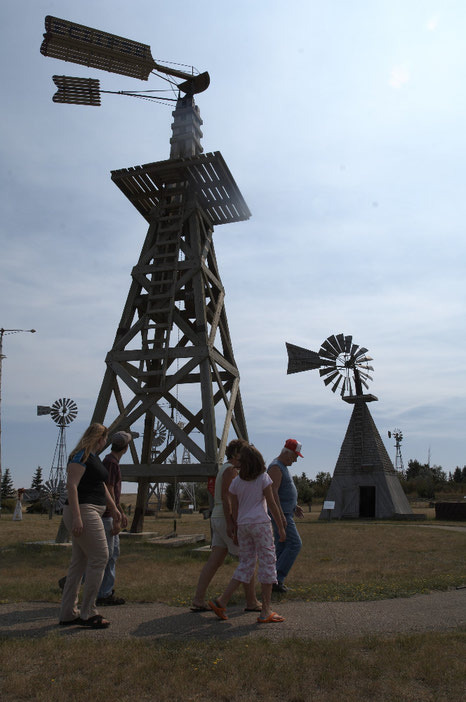 The Etzikom Museum and Historic Windmill Centre can be found in Etzikom, AB., just a short drive from Medicine Hat. 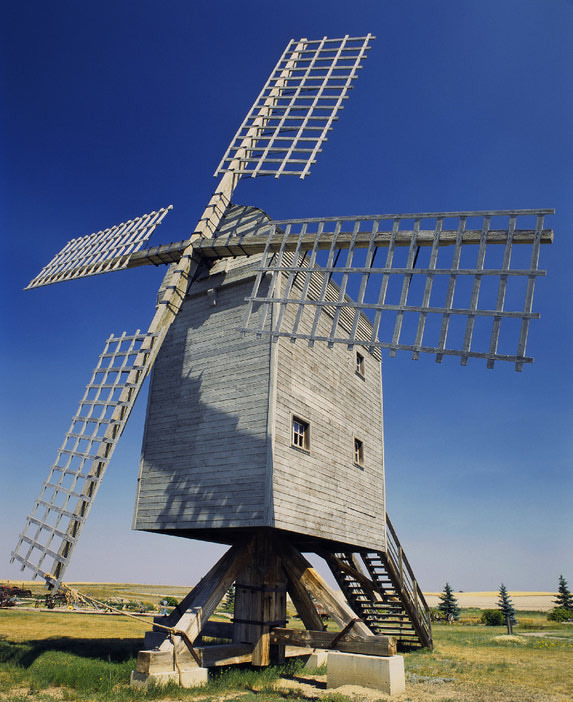 The windmill site shows examples of full size windmills from throughout history. 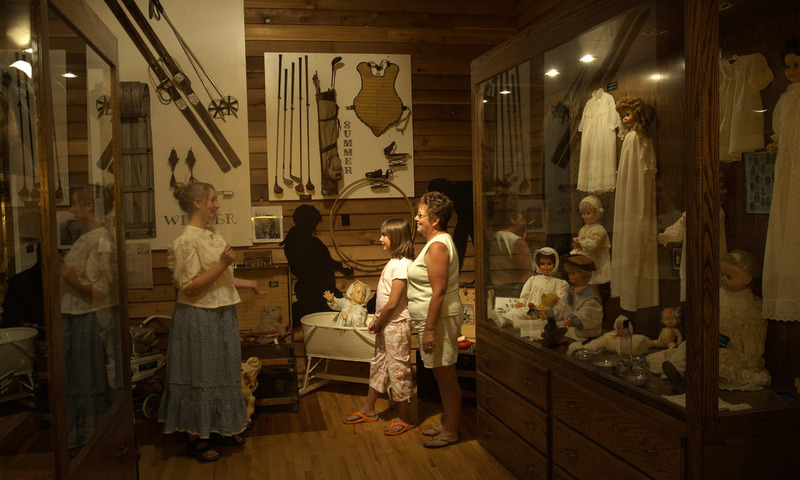 The museum is host to many artifacts and collections. 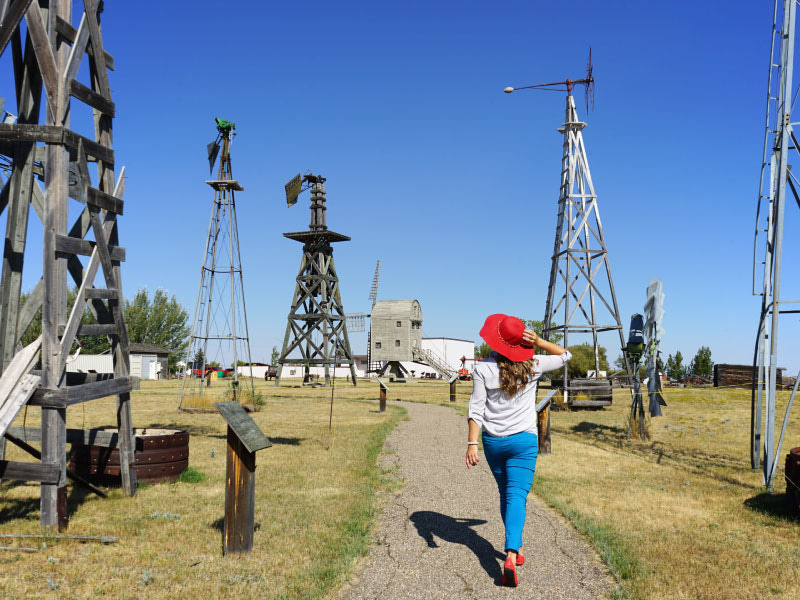 There is also a reproduction of a village in the 1900's, including a general store, hotel, school house, blacksmith shop, barber shop, post office and typical home. The site is wheelchair accessible and has a snack and gift shop. Tours can be arrange by calling ahead.